Morning Routines: Early bird work session - I finally found my match! Over the last year, I was experimenting with different morning and evening routines. I was on a mission to find the perfect match for an effective work day, but also wanted to balance it off with some proper training sessions. During my stay in Bali I got quite fond of getting up really early in the morning. In order to catch some decent waves, we had to organize our day around tide times and tried to get to the beach when the surf spots were not too crowded. It might not be everybody’s cup of tea to get up at four thirty or five. But in Bali (and Sri Lanka) this felt like the perfect start. So the morning routine looked something like this…convincing myself to jump out of bed with the first beep of the alarm clock. Listing to the jungle sounds while brushing the teeth. Then a light breakfast before heading out to one of the surf spots. Catching some waves and getting my first morning exercise in. 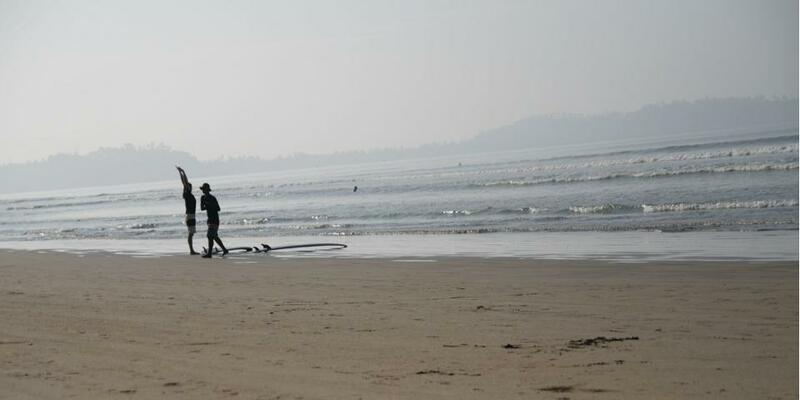 Then heading back to my favourite surf retreat, all exhausted, salty and happy. Followed by the loveliest breakfast, filling me up with nutrients and contentment. This still puts a smile on my face thinking of it. After breakfast I took a quick shower and stretched out with a bit of Yoga. Other times I just relaxed with a smoothie in hand or I experimented with creating stuff. Writing, drawing, learning new things or making plans while lying under a palm tree or cabana felt great. And there was enough time left to explore the area. After those days I naturally fell into bed early, all content and happy. Simply perfect days. But of course, when you get back into your daily work life, things are different when it comes to routines. You more or less schedule your personal needs around your working day. In stressful times that means getting up, going to work, going home, going to sleep and repeat. I tried to get up early and exercise like I had in Bali and going to work afterwards, but for some reason it did not feel as good as planned. I was always in a rush to get to the office at a specific time and felt bad if I was running late. By the time I arrived at the office all the energy from the bike session or run had gone due to the stress level involved. So I obviously needed to find a different solution. After some trial and error, this is what worked for me in the last couple of weeks (keeping you updated on the progress!). Getting up at 4:45 and settling on my desk at 5:00. Then deep work until seven or eight, depending on when the rest of my household are waking up. Then a light breakfast and a training session. Heading to the office around 10:00 and proceeding with the rest of the workday. Getting to the office quite late in the morning does feel fine as I know I already put in a decent amount of work. I am also super energized and fresh due to the bike ride or run. This works out perfectly, especially when I tackle tasks in the early morning hours that need my full concentration or creativity. This is one of the routines that just works like a charm. Let’s see if I can keep that up for the next weeks and months.